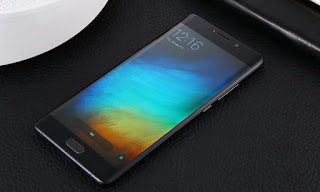 Home » Uncategories » Here are 8 Coolest Xiaomi Smartphones! Here are 8 Coolest Xiaomi Smartphones! On April 6, 2018 and then, Xiaomi even entered the age of stepping on 8 years. Since its founding in 2010, the China-based company started its business with only less than 30 employees. Who would have thought smartphone manufacturers are now successfully transformed into a world brand mobile phone with a position strong enough. Not only that, the millions of loyal users (MiFan) from the products claimed by the vendor has also been a witness to the success of this manufacturer in earning a large sales figures. Xiaomi managed to change the way we look at Chinese products. The company is focused on delivering the best quality products, attractive designs with the cheapest price tag possible. These are the decisive combinations of the success of a product sold to the market. So no wonder, Xiaomi's smartphone quickly gained popularity in the global marketplace which is even one of the fastest growing companies today. The company is expected to have a value of up to USD 100 billion in stock exchanges when its initial share sale will open in late 2018 in Hong Kong. One of the keys to Xiaomi's success is his courage to expand its operations to countries in Asia, Europe and even the United States. In its first year of operation, Xiaomi has released its first version of MIUI OS. It took a year for Xiaomi to release its first smartphone, Xiaomi Mi 1. 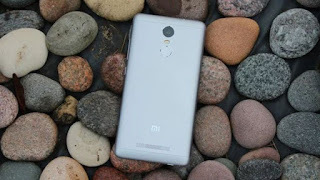 A year later, Xiaomi released the second Mi 2. Both smartphones sold successfully, with sales surpassing the 10 million units a year after its launch. Talk about real sales success, felt by Xiaomi during the launch of Xiaomi Mi 3 in October 2013. The company decided to expand its operations globally to Singapore, India, Malaysia and the Philippines in 2014. This is where companies begin to see strong and total growth Xiaomi's shipment in that year continued to climb to more than 61 million units! After that period, Xiaomi position as one of China's smartphone vendors can not be underestimated. Xiaomi intense release of 5-10 series of smartphones every year. Not a few of them are then exploded in the market and a favorite. 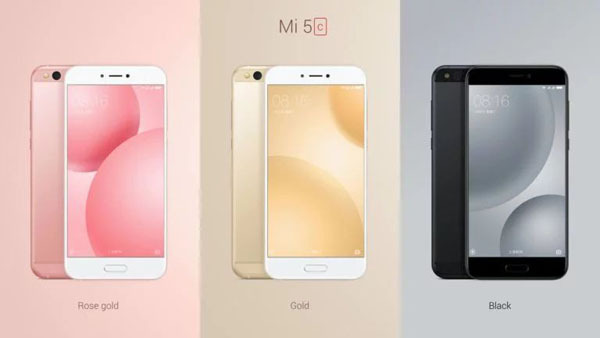 To commemorate a windu Xiaomi, following eight favorite smartphone besutan the vendors who colored their journey in the last eight years. 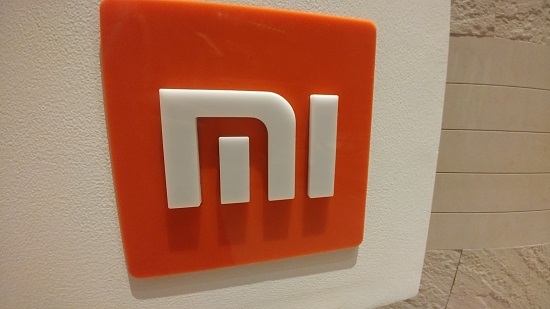 No doubt, Xiaomi Mi 3 is a revolutionary smartphone. 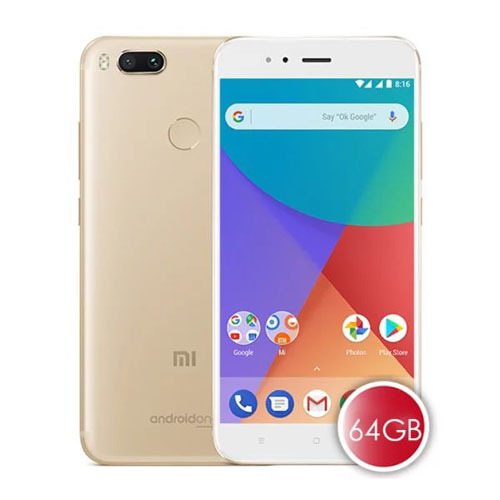 Its specifications include a 5-inch diagonal display and 1080p resolution, quad-core Snapdragon 800 series processor, 2GB RAM, 16GB / 32GB / 64GB ROM, 13MP main camera, Android KitKat OS, MIUI 5 interface and 3,000mAh battery. 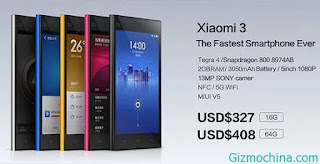 This smartphone is sold in September 2013 and priced USD 327 (Rp 4.3 million). In its time, Xiaomi Mi 3 is included in the category of powerful phones. 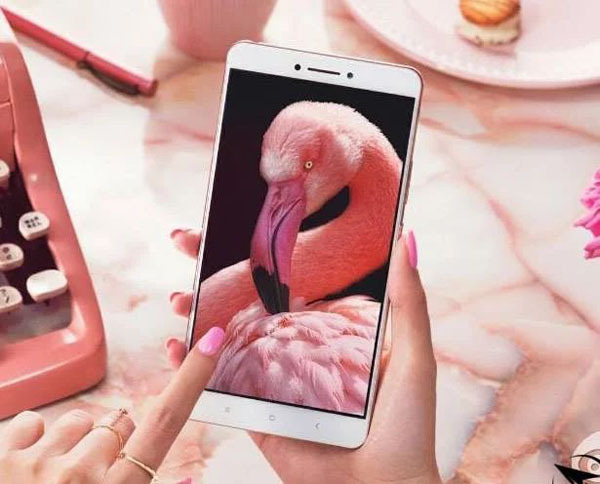 After Xiaomi announced the Redmi smartphone lineup in 2013 known as Hongmi in China, the company continued to expand its wings by releasing the famous Redmi series at an affordable price. You need to know, the series Redmi help Xiaomi beat Samsung in China before Q2 2014. Since then Xiaomi incarnate into a company whose development continues to grow high. 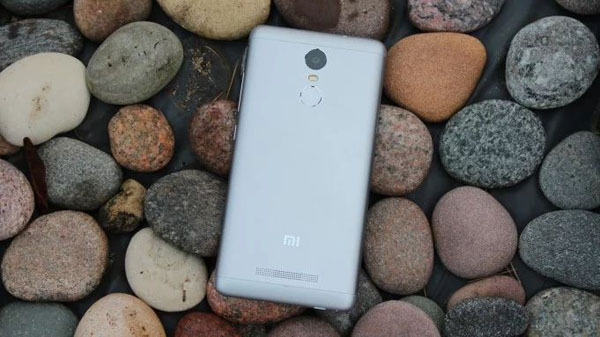 The launch of Redmi Note 3 is the real turning point of Xiaomi's success. The phone that was released November 2015 has everything you expect in a middle-class smartphone. Its performance relies on Helio X10's Snapdragon 650 / MTK processor, 2GB / 3GB RAM, 16GB / 32GB ROM, featuring a 5.5-inch screen with 1080p resolution, 16 MP main camera, Android Lollipop, MIUI 7 and a 4.050 mAh power battery. One year later, Xiaomi had to feel quite a bitter sales figure. 2016 is indeed the worst year for the company, although the vendor is still able to spawn innovative products to the global market. Through the Mi Max series, Xiaomi managed to reap a very high sales. Xiaomi Mi Max comes with a 6.44 inch wide screen and 1080p resolution. This smartphone is marketed in two processor options, Snapdragon 650 and Snapdragon 652. Its performance is also assisted by a combination of RAM each of 2GB / 3GB / 4GB with 16GB / 32GB / 64GB / 128GB internal storage options. The entire Mi Max variant is also equipped with a micro SD card slot. Smartphone that was introduced in May 2016 is also equipped with 16 MP main camera. Mi Max runs Android OS v7.0 Nougat and displays MIUI 8. The overall device operation relies on a battery capacity of 4.850mAh. Actually quite natural if Mi Max quickly became hits because in that year, not many OEMs who released sailing smartphone of Xiaomi Mi Max is crammed with great spesikasinya but with the official price is quite affordable. The launch of this model marks an important milestone for Xiaomi. Xiaomi Mi Note 2 is the first curved smartphone display released by Xiaomi. This smartphone has its own meaning from the development of innovation double curved screen design made by Xiaomi on the front and rear. In addition to Samsung, at that time it is not many smartphone manufacturers who managed to release a smartphone with a curved screen design like that. The birth of Xiaomi Mi Note 2 seems to be a testament to the company's ability. Mi Note 2 also so leverage the image of the company from the original who just dwell on making cheap smartphones into a smartphone maker top. The presence of this high-end mobile phone offers the latest technology that compete pitted with other global smartphone brands. Devices released in October 2016 comes with a Qualcomm Snapdragon 821 chip, 4GB / 6GB RAM option, 64GB / 128GB ROM option, Android OS v7.1 Nougat and MIUI interface 8. This smartphone also comes with 5.7-inch Curved AMOLED screen on 1080p resolution. The photography sector is equipped with the main camera 22.5 MP resolution. For overall device operation, this smartphone is equipped with a 4.070mAh battery power capacity. 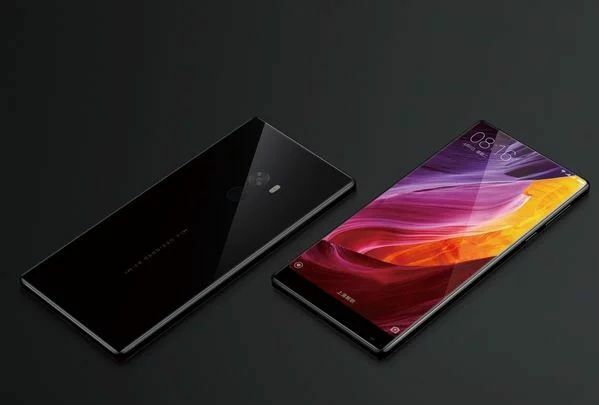 Xiaomi Mi Mix is the most innovative smartphone of its time. This device became the first device that comes with full-screen design beat other smartphone manufacturers in those days. This screen design that then shows the vendor's reputation to the world as a very innovative company. The smartphone, launched in October 2016, features a full-screen design, the casing is built with Cantilever piezoelectric ceramic technology to create mic holes. In its day, not many smartphones with high screen aspect ratio. The performance of this smartphone relies on Qualcomm Snapdragon 821 chip, 4GB / 6GB RAM option, 128GB / 256GB ROM option, 6.4 inch screen, 1080p, 16 MP main camera, 4,400mAh battery and runs Android OS v7.0 nougat with MIUI 8 interface . By the end of 2016 and early 2017 are the times in which Xiaomi continues to be encouraged to innovate. In that period, Xiaomi released its first self-developed chipset named Surge S1. Xiaomi Mi 5C introduced in February 2017 is the first smartphone to run the chipset. By launching the S1 Surge chipset, Xiaomi is ready to challenge other big players like Apple, Huawei, and Samsung who each work on their own processor. As for Xiaomi Mi 5C, this smartphone is supported by Xiaomi Surge S1 chip, 3GB RAM, 64GB ROM, Nougat Android OS with MIUI 8. The photography sector carries 12MP main camera. Smartphone with 5.15 inch screen that has a resolution of 1.080p is also powered by a battery capacity of 2.860mAh. MIUI is the OS with millions of users spread all over the world. Nevertheless not a few users are much more like pure Android OS. This is what then pushed Xiaomi to release Mi A1 in September 2017. With the look of Android plos, this smartphone is ready to offer a faster update including the latest OS update. The birth of this device also had jumped Xiaomi name. Xiaomi Mi A1's performance relies on Qualcomm's Snapdragon 625 chip, 4GB RAM, 64GB ROM which first runs the Android Nougat OS before finally getting the Android 8.0 Oreo update. While the front of the display screen area of 5.5 inches with a resolution of 1.080p. More cool again, MI A1 is also armed by a dual camera with 12MP resolution. Xiaomi Mi Mix is ​​proven to be one of Xiaomi's favorite smartphones. The birth of Xiaomi Mi Mix 2s in February 2018 has even made better sales figures. 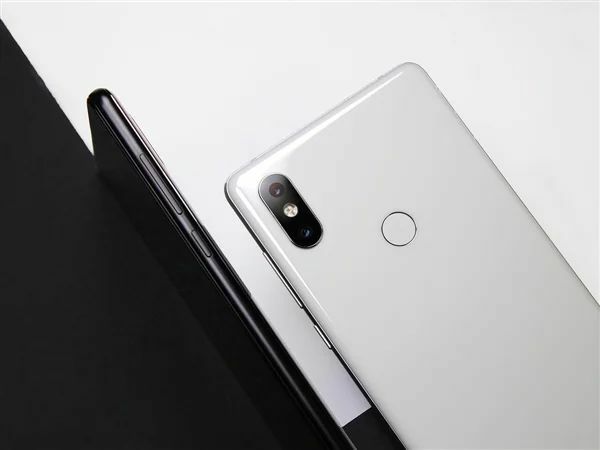 Xiaomi Mi Mix 2S is one of the most important vendor's products with the best camera setting as the main selling point. Mi Mix 2S became Xiaomi's first device capable of defeating the sophistication of cameras made by Samsung and Apple. Test results DxOMark camera test confirms that the performance of the camera in Xiaomi Mi Mix 2S is very high indeed. Not only that, this smartphone is also equipped with strong specifications, large batteries, and competitive price tags. It makes sense if Xiaomi Mi mix 2S is one of the best Xiaomi smartphones ever released to the market. Its performance relies on Qualcomm Snapdragon 845 which comes with 6GB / 8GB RAM option and 64GB / 128GB / 256GB ROM option. Other specifications include Android OS v.8.0 Oreo with MIUI 9.5. 5.99 inch wide screen width adorn the front complete with a resolution of 1.080p. Medium battery capacity of 3.400 mAh. Mi Mix 2S is also armed by a dual camera with 12MP resolution. 0 Response to "Here are 8 Coolest Xiaomi Smartphones!"